Hearing the garden abuzz during a sun break last week was extremely satisfying. It’s a little unusual that my valley hasn’t received a killing frost by this point in the season. We had just enough frost in October to knock down the tomatoes, but annuals like Bachelor’s Button and calendula were unaffected. 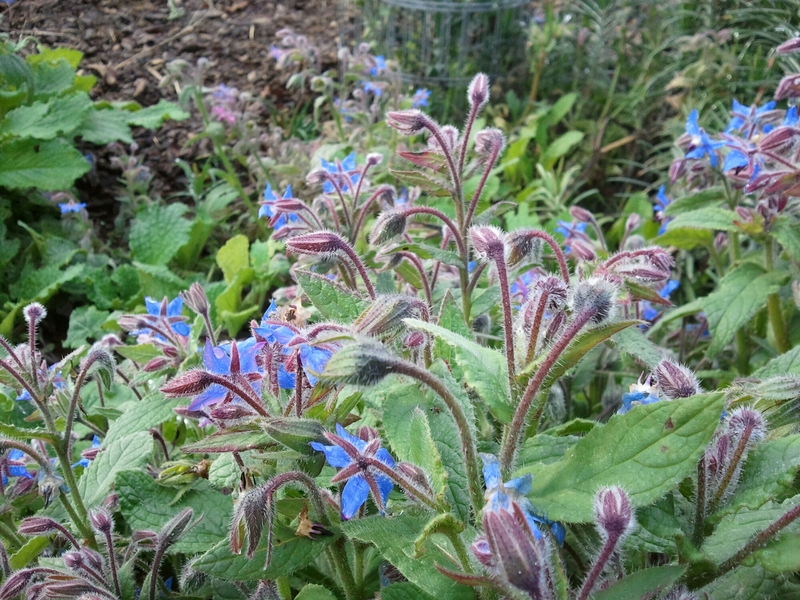 The real performer this month is the borage. 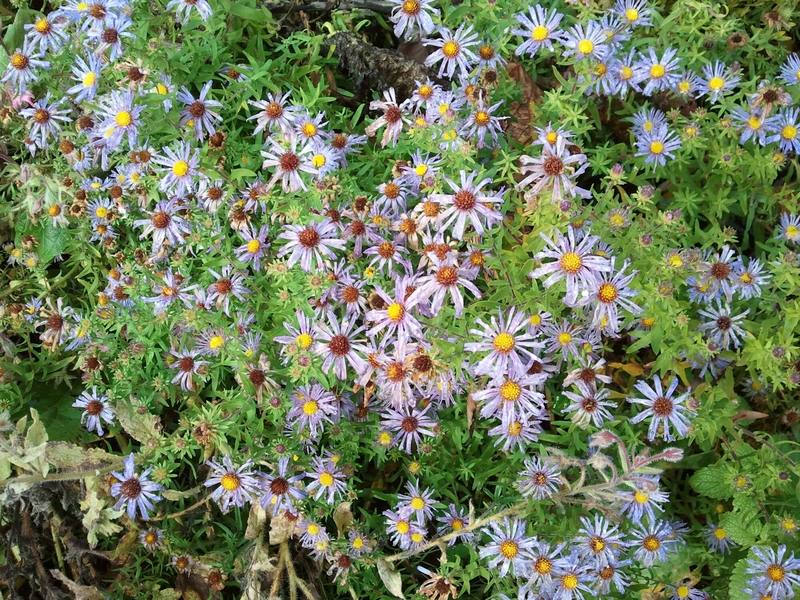 Though the asters I grew were still blooming nicely, they didn’t receive much traffic by comparison. The Silphium perfoliatum that soared to ten feet this year and bloomed profusely for at least a month and a half finally went to seed. I “lost” some of the seed during the first rain and wind of the fall. (Not really lost, as it will just pop up in new places in the garden.) Luckily, there were plenty left to harvest for planting yet this fall. 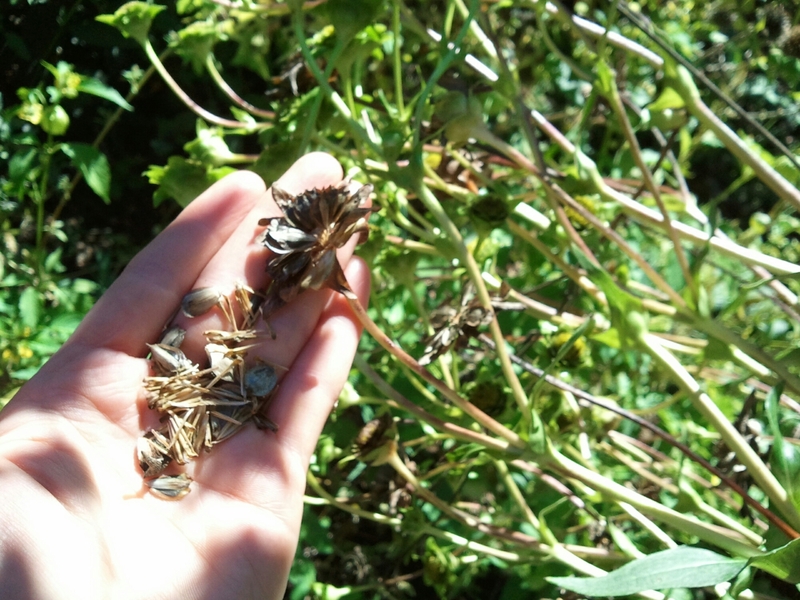 Silphium seeds require a cold, wet period in the soil in order to germinate (termed “stratification”). These seeds will be planted in 4″ pots and left outdoors in flats for the winter. Borage, calendula, dandelion. Fingers crossed that the native meadowfoam set seeds! Ken Ograin gave me some meadowfoam last spring and it did quite well. Why do I still have strawberries,,,it’s mid November!!! Ah, dandelions! They’re one of the great advantages of city beekeeping in my opinion. There are very few here. (Sigh!) I would love to try some meadowfoam, especially a native species!